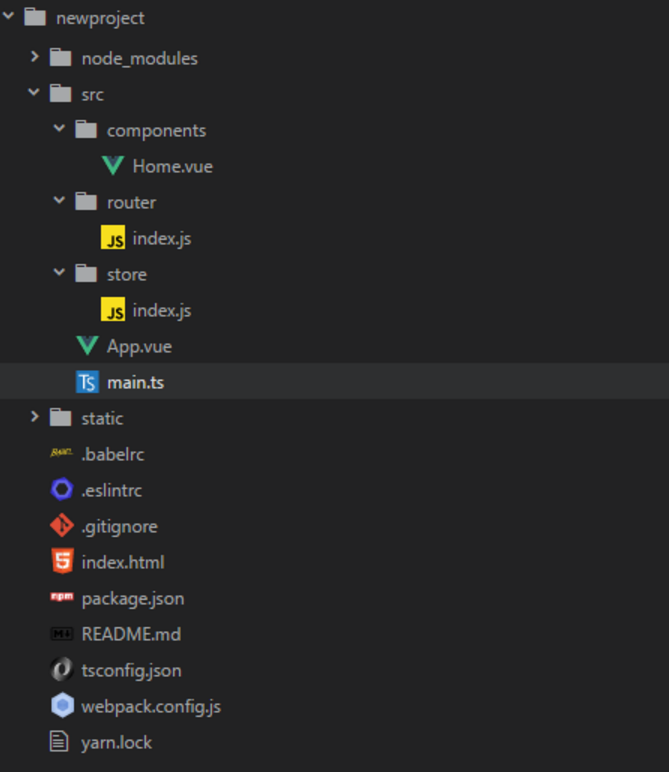 A boilerplate for Vue.js available through the vue-cli with TypeScript support. 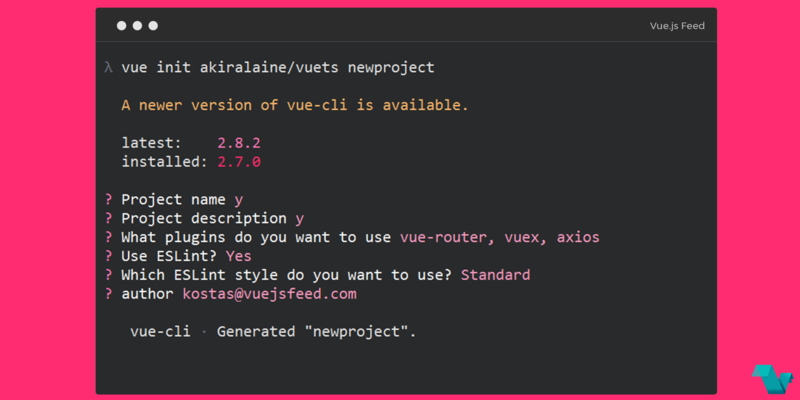 Vuets uses vue-class-component, ES / TypeScript decorator for class-style Vue components, vue plugin options, and webpack. Unlike everything else, the above are specified in your Component decorator. The installation creates a project with the following structure. That is it! Vuets can help you begin your project real quick. If you are looking for more head to the project's repository, available on GitHub.